If you fancy videos more – skip the reading and watch the Video Tutorial below! Let me give you a definition I love. A mood board is a board where you stick your favorite mood stuff at. Yep – that cuts it for me! Okay. For those who didn’t get me. A mood board is simply a collection of data where you collect everything inspiring for one project. It’s a collage that helps you gather inspiration and ideas for your project and it helps in syncing all those ideas into your project. So that you don’t leave any important idea out. Why I use mood boards? I don’t only use mood boards myself but I also encourage my clients to make one for their website project with me. They create their version of a mood board which collects all their ideas for what kind of website they want and they need where on the other hand, I make a mood board for them to get my creative juices flowing to work on their project. I create mine after I have my client’s in hand so that I know what they want. It’s WIN WIN! Okay now to the business part – How do you create one? It is the best mood board creating social platform out there. I mean where would you turn to if you want to look at gorgeous images and inspirations for your website? So if you want to create a Website Mood Board, fire up your pinterest account and add a board. And start pinning your lovely little images there. First, if you don’t use evernote already, please do ! It’s an amazing note builder and I love to work with clients on evernote. 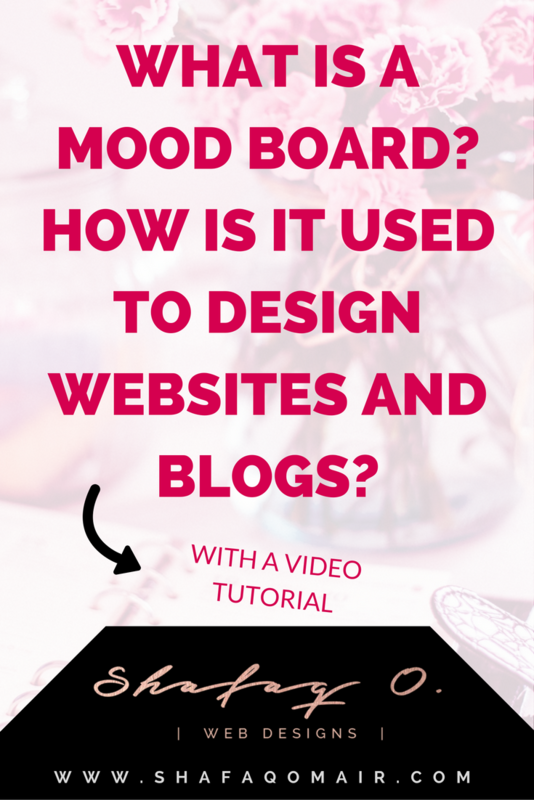 Basically, you find a bunch of ideas online and pin it to one note called Website Mood Board. You keep adding images and notes to that note and once you are happy, you share that note with me. Evernote has applications across all devices, syncs your notes across all your devices for you and also allows you to share your notes with others. It’s like Google Docs – made cool! A tons of other things you can do with Evernote but let’s not go there now – I’ll calm myself down. If you don’t want to use Evernote, I’d suggest you use a simple word document that allows you to add images. Now you open up google and start looking for inspirations. Save images or screenshots to your folder, add to your word doc and add a little note on the side telling you why you saved that image. Hope this helps everyone get their creative on!